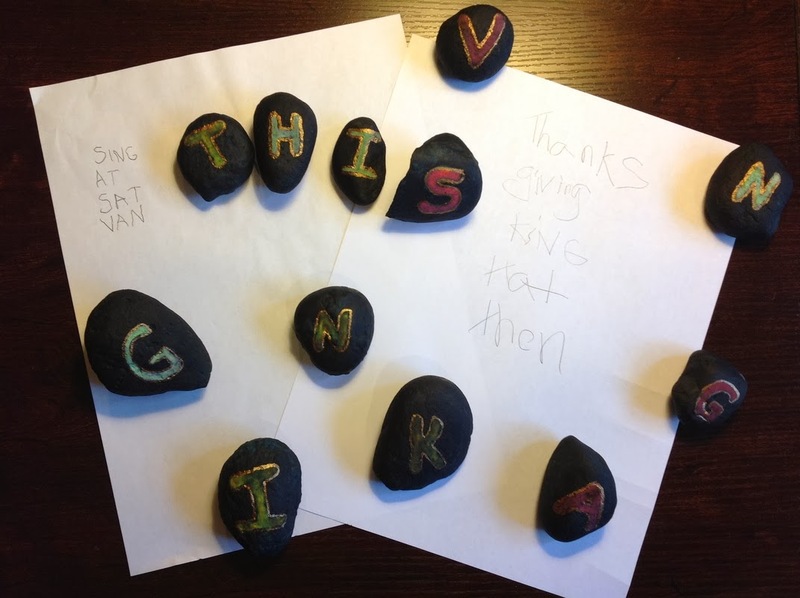 Spelling stones are a fun Thanksgiving craft and spelling activity rolled into one. 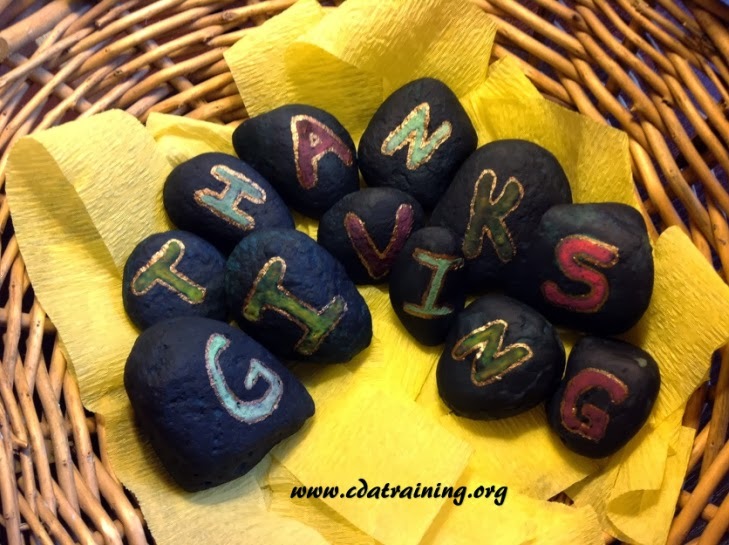 Create a challenge by asking “How many words can we make with the word Thanksgiving?” and use your child’s natural competitiveness as fuel for learning. 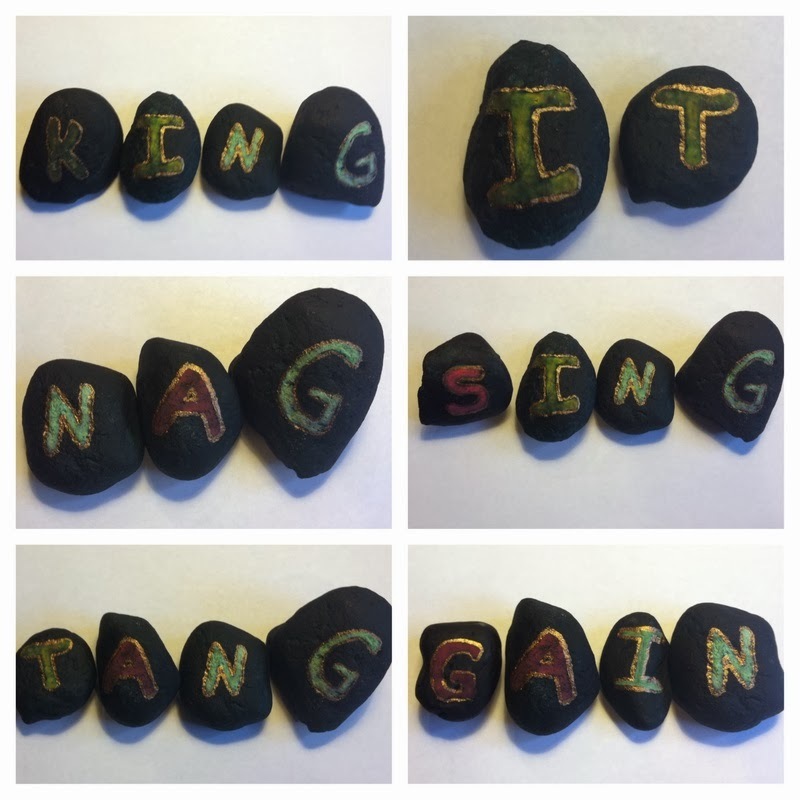 The stones are a great way to teach letters, and also show children how to interchange letters in a word to create other words. Supplies; stones (dollar store, or foraged stones) , temper paint , a paint brush, paper, and pencil. Directions; If you use foraged stones, you might need to paint them a solid color. Start by writing out thanksgiving on the stones. We used all uppercase letters so they would be easier to read. We used several layers of temper paint to turn our stones black. These paints are washable so the kids could help, and it was ok if it got on their clothes. Once our primary paint dried, we painted on the letters. We used different colors, and outlined them with a gold art pen. Once dry, lay out the stones on a flat surface. Explain the challenge to the children. How many words can they make with the letters?